MRJ aircraft is designed to carry 70 to 90 passengers. Credit: Mitsubishi Aircraft Corporation. Mitsubishi Aircraft’s US-based subsidiary has filed a counterclaim against Bombardier as part of an ongoing dispute over the production of the company’s Mitsubishi Regional Jet (MRJ) aircraft. In its counterclaim, Mitsubishi Aircraft Corporation America alleged that Bombardier is involved in illegal anticompetitive behaviour in order to hinder the development and certification of the MRJ. It follows a lawsuit filed by Bombardier against Mitsubishi Aircraft last October. Bombardier accused Mitsubishi Aircraft of receiving trade secrets from former Bombardier employees regarding the development of the MRJ jet. In a statement, Mitsubishi Aircraft said: “It is our company position that, for several years, Bombardier has engaged in a multifaceted scheme of illegal anticompetitive conduct, directed against Mitsubishi, its partners and its employees. “As alleged in the counterclaim filing, since late 2015, Bombardier has threatened, pressured and sought to coerce Mitsubishi Aircraft, its US-based partners and individual employees working on the MRJ programme. According to Mitsubishi Aircraft, the charges made by Bombardier are false and lack factual or legal merit. 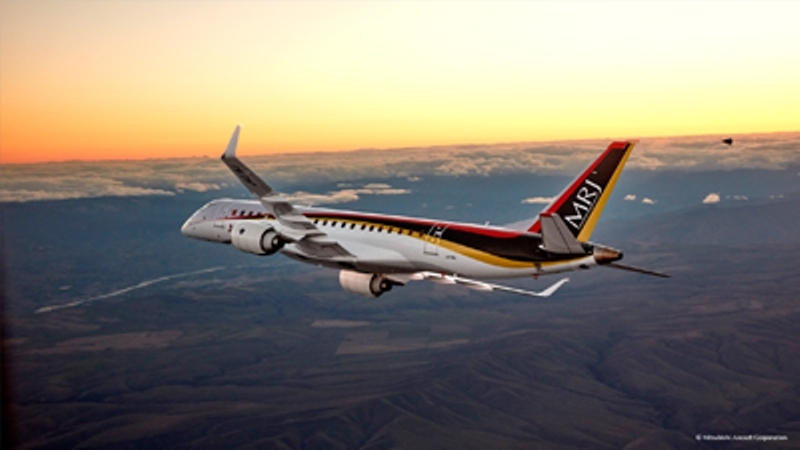 The MRJ aircraft is designed to carry 70 to 90 passengers and powered by a Pratt & Whitney’s PurePower engine. The aircraft is expected to compete against the regional jets manufactured by Bombardier and Brazil-based Embraer, reported Reuters.